1. NW-35 Mic Stand Max load: 35oz/1KG. This Stand is NOT Suitable for Blue Yeti USB Mic. 2.The microphone can not be used with mobile phone and tablet computer. NOTE: It cannot work with Mac. 4.Please confirm if there are two jacks (one for mic, one for audio) equipped with your computer, or the mic might not able to be recognized by the computer. 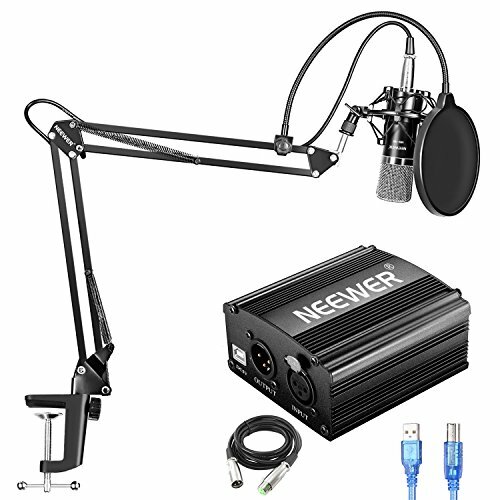 Provides a 48V voltage to the condenser microphone, but it does not enhance the microphone sound quality and improve the normal volume. Balanced mic inputs and outputs to connect in-line with your mic and mixer. Low noise full-frequency response. On/off power switch and LED indicator.